Our best selling Patchouli products in a fabulous sheer gold bag with card. Peace be with you. 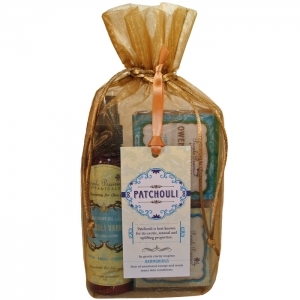 Patchouli is best known for its exotic, sensual & uplifting properties. Its gentle clarity also inspires the harmonious flow of emotional energy and treats many skin conditions.